This would even include the cultural knowledge needed to communicate respectfully. According to several close sources, as reported by Yahoo Finance, Amazon is “seriously exploring” real-time translation abilities for Alexa. The intelligent personal assistant is currently capable of deciphering single words and phrases, but with these improvements, Amazon hopes that Alexa will work seamlessly in conversations as a real-time translator. Beyond language itself, the company wants Alexa to gain a well-rounded knowledge of the cultures in which the translated languages are spoken. By incorporating this knowledge into translation, the device could help users to communicate more respectfully and effectively. 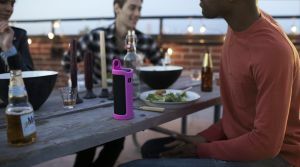 “The cross-culture, cross-language piece is going to be big for Amazon and Alexa, and it has a lot of potential,” an anonymous source told Yahoo Finance. A real-time translator, supported by cultural understanding, could be a game-changer for travelers. Whether traveling for business, family, or pleasure, Alexa could let you know who to speak to, what is most appropriate to say, and how to say it — all in real time. Yahoo’s anonymous sources also discussed the physical Alexa device. Instead of relying on a large home device, they expect that Alexa will be able to translate through any smart device. This would make the technology much more accessible, as anyone with any smart device would be able to use it. The sources also expect that one day Alexa will be so advanced that a single device could translate multiple people speaking multiple different languages at the same time. While these prospects are exciting, the technology still has a long way to come before this is possible. “To truly realize that vision, you’ll want a number of things: you’ll want to have it everywhere, be able to talk to it from anywhere, be able for it to do all of the things you would want an intelligent assistant do for you, and ultimately do it in a very conversational way,” Amazon Vice President of Alexa, Al Lindsay, told Yahoo Finance in an interview last year. Other companies have tried to create similar tech, with mixed to poor results. Google’s Pixel Buds fell somewhat short of expectations; they work only with the Pixel phone, and presently have trouble with both background noise and complex conversations. While Samsung’s Bixby assistant can translate text fairly well, it isn’t capable of translating full conversations yet. Skype’s in-app translator is exciting as well, but it has some issues, and wouldn’t be useful in a face-to-face conversation. Existing translating technologies are ambitious, but not the seamless devices we’ve seen in sci-fi narratives like Star Trek. Amazon seems to hope Alexa will change that, making real-time, conversational, culturally-sensitive translation a reality.